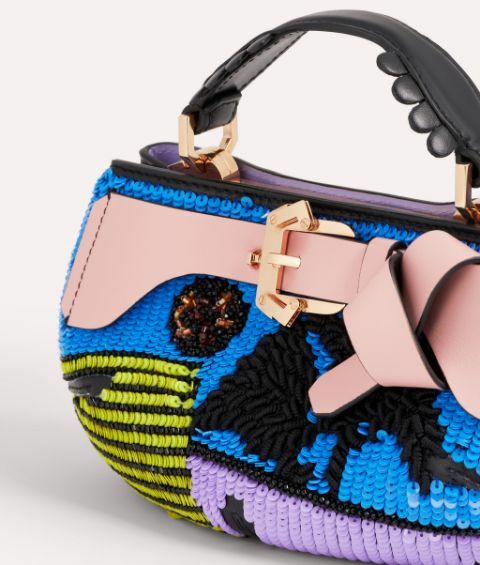 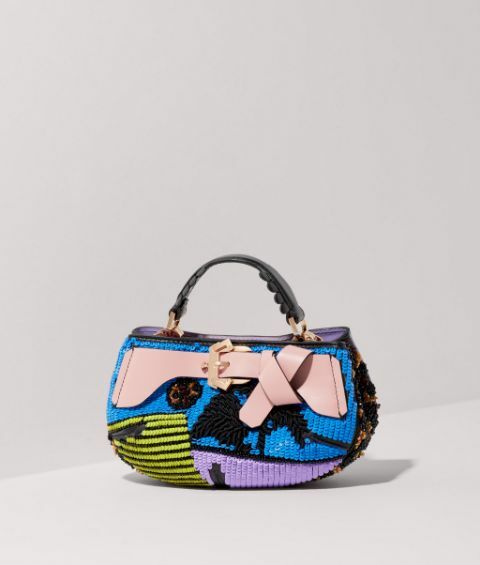 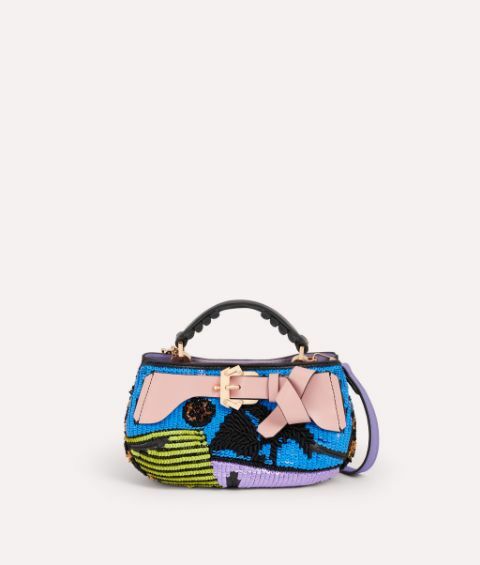 Capturing the vivacious spirit of Paula Cademartori, the Daria Skyline is made up of vibrant multicoloured sequinned patches, with juxtaposing patterns and textures that create a truly artistic effect. 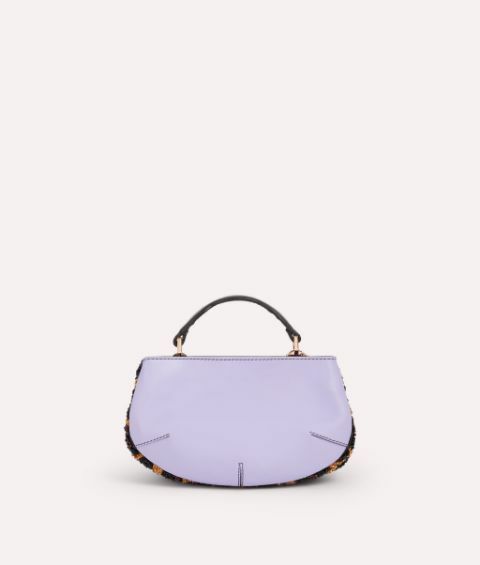 The semi-circular shape can be worn in two versatile ways, with a round top handle with flower petal appliqués and a detachable crossbody strap. 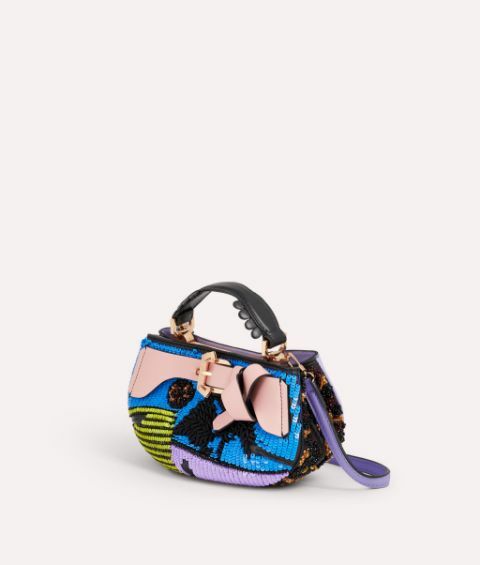 A pink leather knotted strap at the front is detailed with the brand's signature polished buckle in rose gold tone.